No wonder John O’Farrell found it so hard to like Jeremy Corbyn in his book Things Can Only Get Worse?, because unlike his chums Gordon Brown and Tony Blair, Corbyn is a real socialist. O’Farrell’s light weight left wing credentials are exposed by the way he so easily accepted the offer to become the Labour party candidate in the Eastleigh by election. 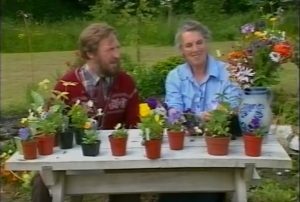 He’s offered the job from Labour head office on the phone, asks his wife Jackie who is ambitious for him to be an MP and he accepts. His description of the actual selection process fails to recognize the obvious way the party rubber stamped his application when there were local Labour candidates who would have done a better job. He’s out of touch with the voters believing Iraq should be the main issue when they are interested in jobs and the influx of immigrants who are effecting employment for locals. UKIP scoop up their votes leaving Labour far behind. How could he be so blind? Easy. He was in hock with the Blair and Brown Governments for years and came to see the world through their eyes. He wrote their jokes, had dinner with them and accepted that they were the authentic voice of Labour voters. Then came the Invasion of Iraq in 2003. The following year of 2004 saw workers of EU member states of Eastern Europe given the right the work in the UK causing major concerns about immigration among many ordinary workers and the effects on employment and finally the credit crunch in 2008. O’Farrell and the Labour Party as a whole failed to see how this would affect their election prospects as voters looked for answers to unemployment, low wages and a decline in living standards. His blindness to these themes he unwittingly exposes in his the chapter The Sickest Man in Britain. He makes light of it all and appears to blame it all on the people of Eastleigh for not being very enlightened. No wonder Jeremy Corbyn became leader after the years of New Labour. He may not be the most media savvy leader of the party but he is a genuine conviction politician who takes social issues seriously. 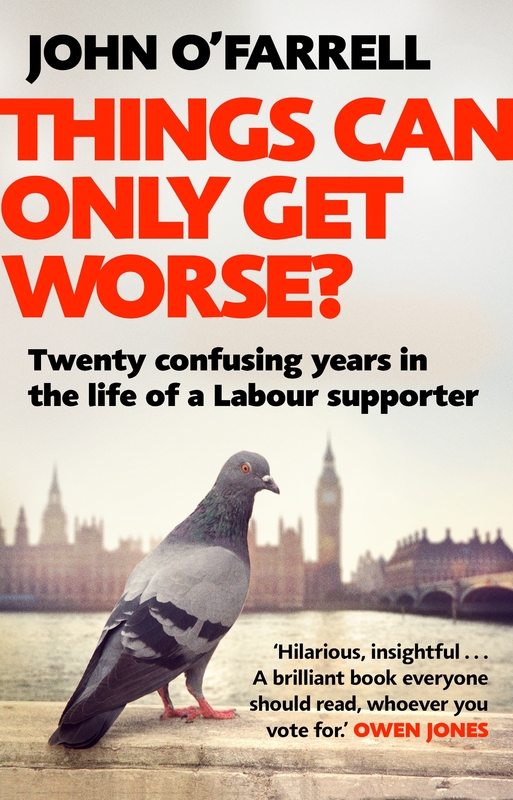 It was only when he proved a hit against all the odds in the 2017 General Election that O’Farrell finally signs up to the idea that Corbyn is OK.
That said, this is a highly readable and funny book, with lots of common sense, some excellent jokes and many insights into O’Farrell’s mindset. Even if you are a true blue Tory O’Farrell’s prose and anecdotes keep the pages turning and chuckles coming – and glimpses into how those at the top of the Labour party live and how someone at the top of a media career thinks. O’Farrell is very hard on the LibDems as you might expect but compounds his prejudice by effectively saying nobody should vote anything else but Labour or Conservative. His London bubble of thinking forgets there’s a whole world of opinion outside of the M25. There’s Northern Ireland with its own unique political divisions, the Green Party, UKIP and Scotland, plus Wales and pockets of England where low wages and economic neglect explain the vote in favour of Brexit. The chapters on his campaign to create a new secondary school in his area are some of the most interesting as he battles to get the backing and funds for the enterprise. His conclusion is that compromise is key in getting things done as the school is not quite the one he envisaged but is eventually built and he becomes chair of the governors. But it his honesty in not knowing what to do after a row with the head teacher and with the school is in crisis that are some of the strongest sections. And then there are the jokes. Like the day in 1997 when William Hague became the leader of the Conservative Party – he notes that nobody cared as it was like TV’s Neighbours – the Tories were still going but all the big stars had left and nobody watched it anymore. As a sequel to Things Can Only Get Better, it has a huge amount of wit and wisdom, some very repeatable anecdotes – along with a few political blind spots. Things Can Only Get Worse?, by John O’Farrell, was first published in 2017 by Doubleday and is also available in paperback by Black Swan.